Having recently moved to a new area, I'm keen to explore my new surroundings. That means taking my two children out and about for a play while mum enjoys a coffee. 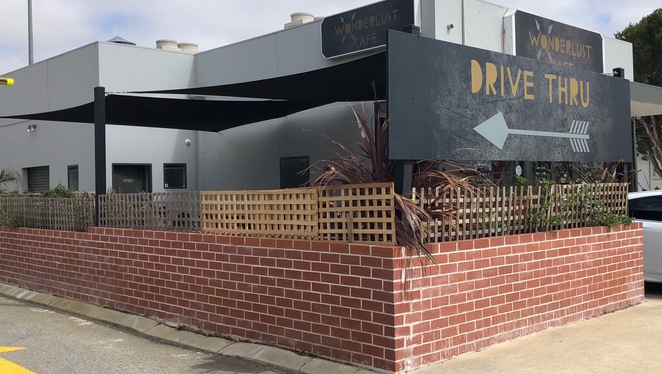 One of our first fantastic discoveries has been Wonderlust Cafe in Seville Grove, which conveniently has a kids' play area and drive thru coffee. That's two thumbs up before we have even set foot in the place. 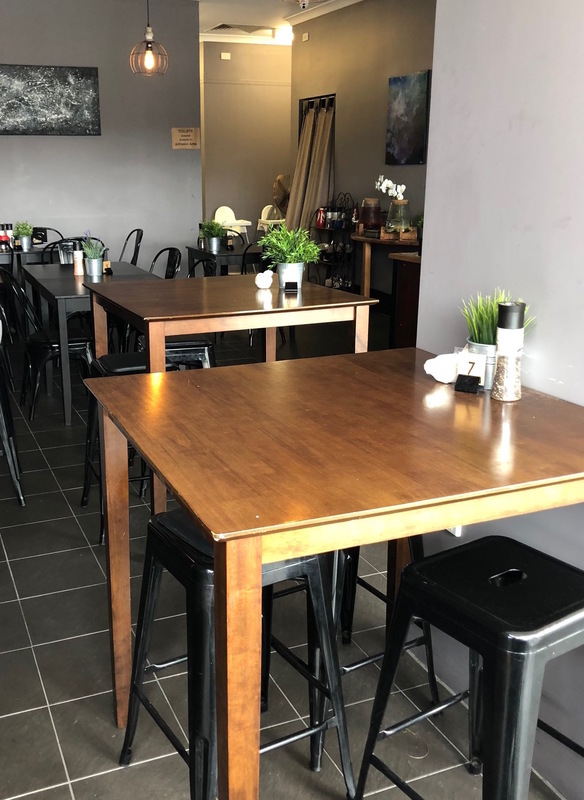 Wonderlust Café is located on Seville Drive and is open for breakfast, brunch, lunch and coffee. It is small in size but has an indoor and outdoor dining area, with the play space for children also located in the alfresco area. Take a seat on the comfy couch. You can choose from a range of breakfast and lunch items, including many that are gluten free or vegetarian, or have gluten free, vegetarian or vegan options available. 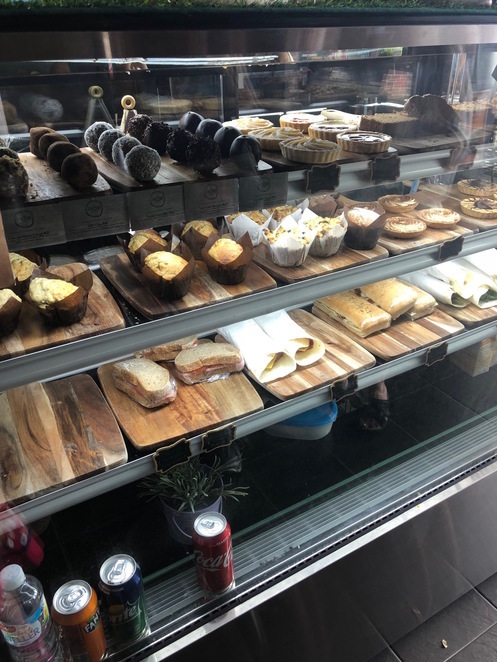 Along with the menu, there is also a cabinet full of tasty treats such as muffins, baked goods, sandwiches, paninis and more. Choose a snack or order from the menu. I was tossing up between the breakfast trifle, an organic rice muesli layered with yoghurt and mixed berries, or the strawberry pancakes. Yum! That was until I spotted the specials menu, and the corn and zucchini pancakes with bacon, avocado or salmon. That sounds different! So I chose the savoury pancakes with bacon, along with a serve of pancakes from the kids' menu, a cappuccino and a babyccino for my toddlers. 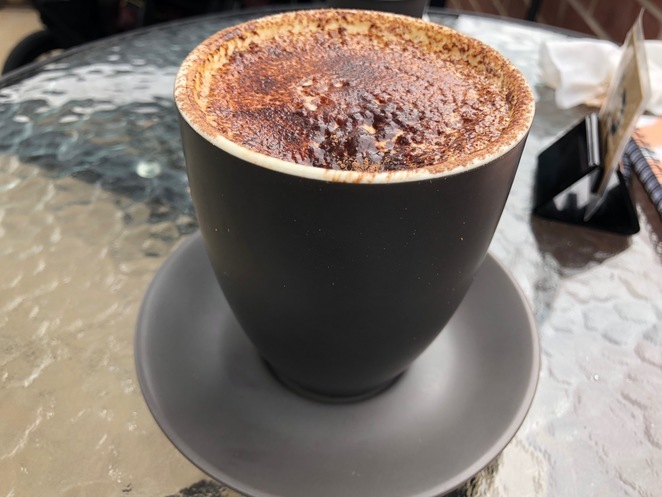 The cappuccino and babyccino arrived quickly, with the babyccino spilled just as quickly, which is a usual occurrence with a two year old. The coffee was delicious, and I'm always appreciative of a little play space for my toddler so I get to enjoy my delicious coffee while it's still hot. The kids' play area is always a welcome sight. 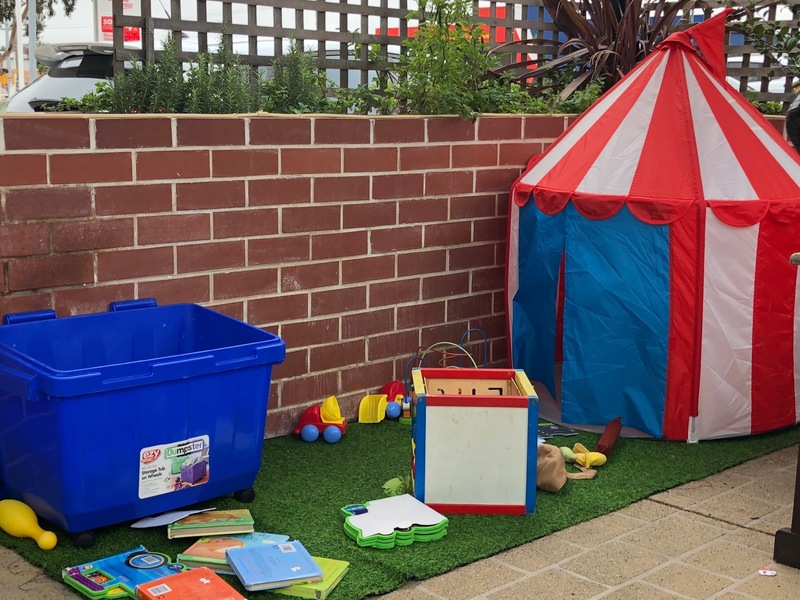 The play area has a box full of toys and books, plus a little tent for the kids to run in and out of. It kept my daughter amused while we waited for our food, which arrived fairly quickly. I don't usually order savoury-style pancakes, but I was glad I did. They were filled with sweet, juicy corn and shredded zucchini and had a lovely flavour. 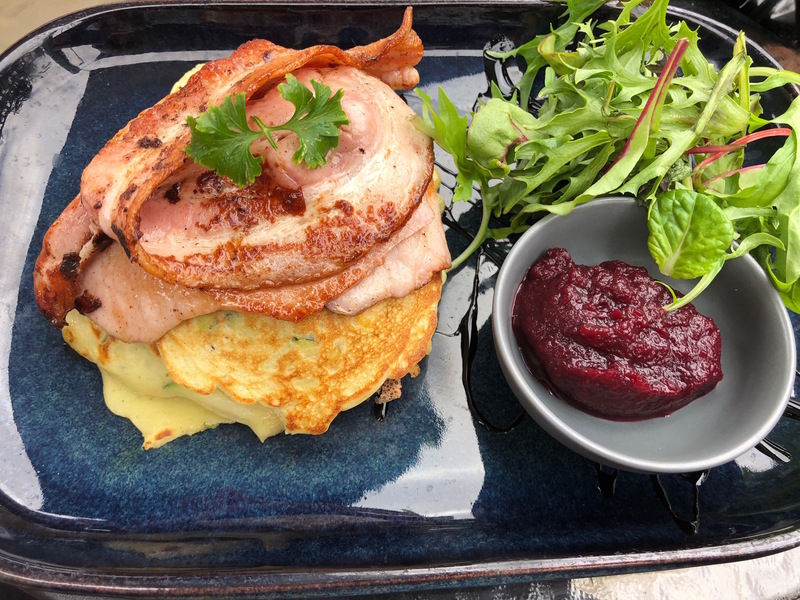 The bacon was cooked perfectly and complimented the pancakes, adding an extra bit of flavour to the corn and zucchini. What sort of parent would I be if I didn't try my daughter's pancakes to make sure they were ok? And by 'try' I mean 'eat most of'. They were sweet and a perfect size for children, but she was a bit too interested in the ice cream on the side and the play area to get stuck into them. I finished my pancakes and coffee and waited for the little miss to finish having a play. If you want to stay for lunch, you can tuck into options such as the burrito Buddha bowl, bruschetta, nachos, smoked salmon crepes and a couple of different burgers. The kids' menu includes the Wondermite Breakie, French toast dip sticks and the ham and cheese toastie. 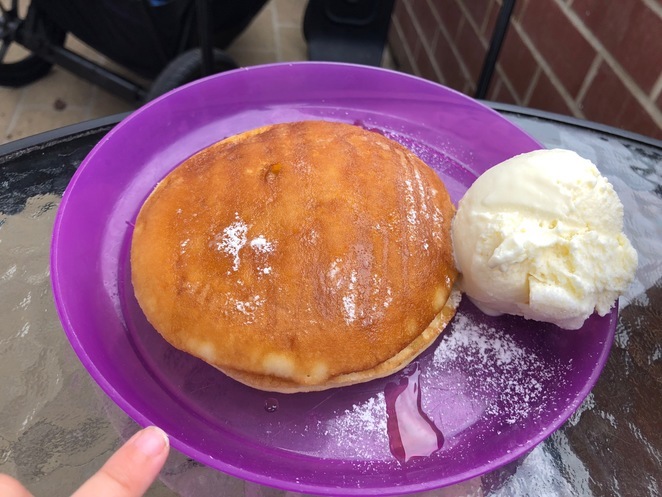 Kids' pancakes with ice cream. 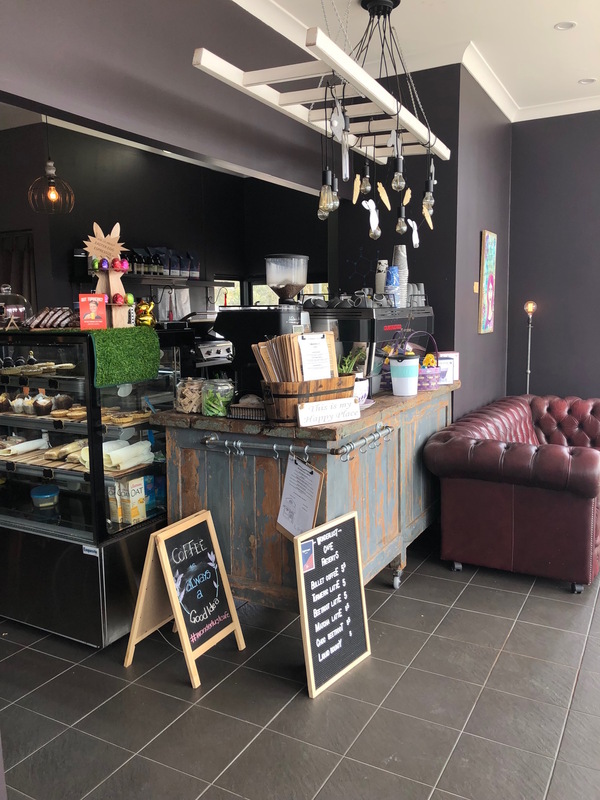 Wonderlust Café is open from 7am daily, and the drive thru is open from 6:30am. They can also offer catering for events. It has been a fantastic little find for my children and I and there's no doubt we will be back again to try something new. The menu sounds delicious. I would try the savoury pancakes too.